Sweet children, in order to do service like Mama and Baba, make your intellects satopradhan. Only those who have satopradhan intellects are able to imbibe knowledge and also inspire others to imbibe it. What is the highest effort of all which you children are now making? To gain the throne of the mother and father is the highest effort of all. Aim to become number one so that Mama and Baba come and become your heirs. For this, you have to do the highest service of all and make many others equal to yourselves. Make unhappy people happy. Let your intellect’s vessel imbibe the imperishable jewels of knowledge and donate them to others. You children have now recognised that it is the Father, that is, the Mother and Father, who teach you. You children should stay in this happiness. We now belong to the unlimited Father. Children promise: Baba, we now belong to only You. We belong to God. We no longer have any relationship with devils. We no longer follow devilish dictates. What are devilish directions? Those who don't follow shrimat perform devilish actions. One kind are Godly actions and the other kind are devilish actions. No one knows when or who established the original, eternal, deity religion. Those of all other religions know their own religion. Sannyasis say that Shankaracharya established their religion. The deity religion doesn't exist now, so who could tell you about it? No one knows about Lakshmi and Narayan etc. They don't know the Father and so they have turned their face away from Him. This too is fixed in the drama. 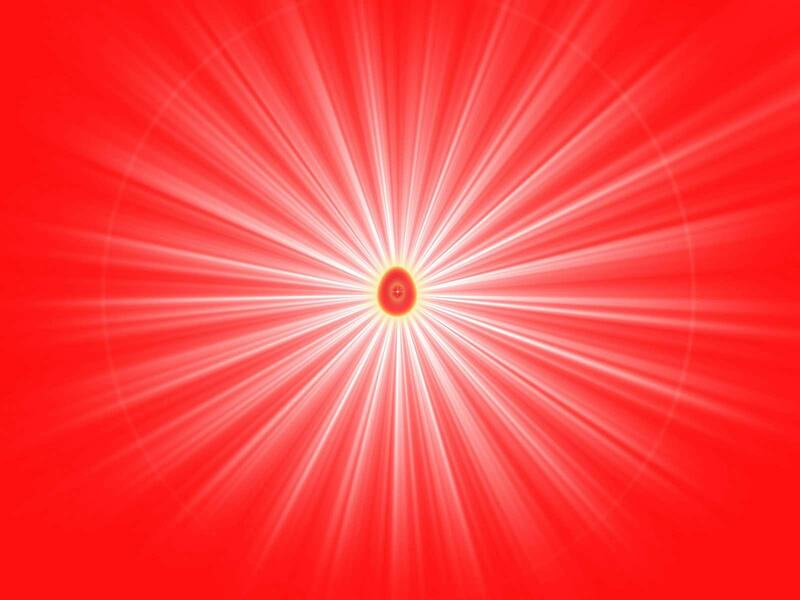 You children now know that the unlimited Father has come and is once again teaching us Raja Yoga for the golden age. You have to become the masters of Paradise. You have to go to the land of Krishna. This is the land of Kans, the devil. Kans and Krishna cannot exist at the same time. You children should now have the intoxication that the Supreme Father, the Supreme Soul, is teaching you easy Raja Yoga. The Father says: I have come from the supreme abode into this old world of Ravan and entered this old body. For instance, when people feed a departed spirit, that soul enters an old body. For that soul, this would not be called an old world. The soul enters an old body and is fed. This custom and system continues in Bharat. This is their faith. They say: The soul of my husband came in this brahmin’s body. They have that faith. She remembers the name and form of her husband. The soul comes and accepts everything. This is the custom and system here. These things do not exist in the golden age. To have unnecessary expense and to wander around are the customs of the path of devotion. By having that faith, they have temporary happiness and that too is received from the Father. The Father never causes sorrow. Because of not having knowledge, people say that God gives happiness and sorrow. The Father explains: Children, this play is predestined. Those who belong to the deity religion are the ones who will come and become Brahmins. You can tell when someone who belongs to your clan has done a lot of devotion. If he studies well, he receives a very good status. The Father comes and tells those who have done a lot of devotion that He has now come to give them the fruit of their devotion. There is sorrow on the path of devotion. They have to wander around so much! I am now taking you away from all sorrow, that is, if you continue to follow shrimat. The Father would never give wrong directions. He personally comes and gives you shrimat. It is not said that Ravan is someone who sits in someone's intellect and gives directions. All of this is fixed in the drama. People have become completely impure because of Maya. You know that you will become deities and that, after half a cycle, you will begin to become impure. This Baba is mature and experienced. He has also seen the sages and holy men etc. He has studied the scriptures too. The Father would surely enter an experienced chariot. There must surely be some history as to why God only chose this chariot. Bhagirath (the lucky chariot) has been remembered. They say that the Ganges emerged from Bhagirath. The Ganges of water cannot emerge like that from someone. Previously, we too didn’t understand. The lucky chariot is this Brahma whom the Supreme Father, the Supreme Soul, enters. People become confused and ask: How would He enter Brahma? You call this person Brahma, but Brahma is God! He is a resident of the subtle region, but you have made a human being Brahma. They would say such things. This is their imagination. How could Brahma, Vishnu and Shankar exist here? Oh! but Brahmins are created through the mouth of Prajapita Brahma and so they would be here, would they not? Whatever happened has to happen again. How did those of the Islam religion come? What happened? All of that will happen again. You know the secrets of the drama. No one else knows them. Those people say that the duration of the drama is hundreds of thousands of years. Then they also say that annihilation took place. If Krishna were to come, he would come in the golden age. So, why have they shown him in the copper age? Annihilation never takes place. They sing: O Purifier, come! Therefore, He would definitely come in the impure world and make impure ones pure. The Father says: I come once to purify the impure. I alone, the Ocean of Knowledge, can explain the secrets of the world to you. I sit here and explain to you children how I make the old world new. That is a matter of a limited home whereas this is the unlimited home. The Father has love for you. This is why He helps you so much even on the path of devotion. Human beings cannot do this. They say: God gave a birth filled with happiness. When someone has a lot of money, they say that God gave it to them. In that case, if He takes it away, why should there be sorrow? The Father says: Don't listen to anyone except the one Father. The Father plays all three parts of Father, Teacher and Guru. The Bestower of Salvation is only One. The Stick for the Blind is the one God. The Purifier of the impure is the one God. The Father says: I come to uplift even the sages. All of you are Brahma Kumars and Kumaris. In the golden age there was the pure family path. It is now the impure family path, which is also called the vicious family path. People are greatly unhappy, don't even ask! They continue to cry out in distress; they weep and wail. There are innumerable religions. In the golden age there was just the one religion, which was established by the one Father. In the Gita, they have written: God Krishna speaks. This is the one mistake they have made. The Supreme Father, the Supreme Soul, is incorporeal and His name is Shiva. The names of souls are the same (soul); they never have another name. The name of the body changes. When you shed a body and take another, your name changes. Baba's name is just Shiv Baba. He doesn't receive a bodily name. A soul that experiences 84 births has names for his bodies. The Father says: I just have the one name. Although I enter this one, the master of this body is the soul of this Dada (Brahma) whom I enter to create people. The Father of Humanity surely has to exist here. People don't know these things. This is the only college where everyone studies. The murlis go everywhere, but the intellects of some people are satopradhan, the intellects of others are sato, rajo or tamo. When they don’t imbibe anything at all, their actions become like that. What can the Father do? Not everyone can be the same. This is God's college. God, the Teacher who teaches, is One, and those whom He teaches imbibe those teachings and become teachers in order to teach others. Each one has to check: Is my intellect satopradhan? Can I explain like Mama and Baba? Baba should receive news from all the centres of how many students come to class regularly. How long have they been observing purity? The Father should know all the charts. The mother and father are senior. Mother Jagadamba is also a daughter. This Baba is experienced in this world too. In a drama the main actors are watched. The Father has taken this chariot, so he must have something. Adi Dev Brahma is remembered so much. People don't understand who Adi Dev is. In fact, these two become Adi Dev and Adi Devi, the mother and father. Then, Saraswati, the mother, emerges from this one's mouth and so all become the children. This one says: I am Shiv Baba' s child and also His wife because He enters me and creates children through my mouth. These are such deep matters! Those who have satopradhan intellects will be able to understand very well; it is numberwise. There is a difference between the royal family and the subjects. The subjects become those through their own efforts and kings become those through their own efforts. The Father says: If you study well you will claim a high status. Those who become heirs will become part of the royal family. The Father says: Make full effort. I have come to give you the kingdom. You have to make effort: We will claim the inheritance of the sovereignty of heaven from the Mother and Father. Otherwise, you will become warriors. Students can also understand themselves. In those schools, when someone fails, he has to repeat that year. Here, no one can study again. If you fail, you would remain failed and this is why you have to make full effort. To make many others equal to yourselves is the highest service of all. Make unhappy people constantly happy. This is your business. Baba always says: Don't think that because many people left their homes and families in Sindh, you would also have to do that; no. That was fixed in the drama. However, there is no question of abducting anyone. God would not perform bad actions. Those are false allegations. You children know that Mama and Baba claim the number one status. You too then gain the throne of Mama and Baba. Those who are the first number will then continue to come down. When children grow up and become seated on the throne, Mama and Baba will become the second number. The first king and queen will then become junior. Therefore, make effort to gain the throne of Mama and Baba. You don’t have to gain that now, but in the future. Mama and Baba should come and become your heirs. Baba explains to you children so well. This knowledge is like mercury that slips away very quickly. Some don't imbibe anything at all. It is a wonder! You children now have the faith that incorporeal God, not Krishna, is teaching you here. God speaks: You cannot give a body to God. It is not written anywhere that God Shiva speaks through the body of Krishna. These are the versions of God. The Father says: First of all, it should enter your hearts that Baba sits here and teaches you. When you remember the word “Baba”, you should also remember the inheritance. The more you study, the higher the status you will claim in heaven. The more you remember Baba, the more your burden of sins will end. By remembering Baba, your intellects become golden vessels. If you continue to donate, you will be able to imbibe. When you give wealth, it does not diminish. The Father would be pleased with you. You Brahmins now donate the imperishable jewels of knowledge. Those people consider the scriptures to which they listen, to be knowledge. They consider them (the scriptures) to be property worth hundreds of thousands, but they are only worth shells. Therefore, Baba says: It should enter the children’s hearts that the Father is the Teacher and also the Satguru who will take you back with Him. He will take you to liberation and liberation-in-life. This is the nectar of knowledge. When children are studying at school, they remain celibate. If they become dirty, their studies become slack. Their intellects become completely dirty. This study is spiritual. Unless you remain celibate you cannot imbibe. The Father says: Study now. Otherwise, every cycle you won't be able to become the masters of heaven. You will become this through your own efforts. If the Father were to give that blessing, He would make everyone a king. The Father says: This is a study. If you study well, you become the masters. If your intellects continue to wander around, you become bad. This is a very big college. 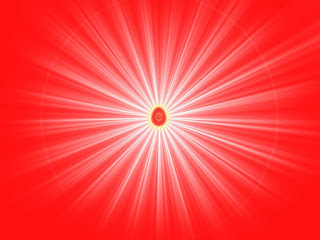 The very name is: The Godly University of the Brahma Kumars and Kumaris. It is established by God. God is called the Father. So, the Father is the Father, the Teacher and the Satguru. No one except you understands this. He is the One who, as the Satguru, will take everyone back. When one of their gurus dies, they put one of his followers on his gaddi. That is adulteration. Here, the Father gives you a guarantee: I will take everyone back. Where to? To the place for which you have been performing devotion for half the cycle. I will take you to the land of liberation. Then, those who follow shrimat will become the masters of Paradise. Achcha. 1. Imbibe the study and become worthy of teaching others. Do service like Mama and Baba. 2. Donate the imperishable jewels of knowledge and make unhappy people happy. Study very well. May you be a master seed form who experiences the power of peace by remaining stable in the most elevated stage of being beyond sound. The elevated stage of being beyond sound is a powerful stage that is lovely and unique and beyond all gross attractions. Stabilise yourself in this elevated stage for even a second and you will experience its impact throughout the whole day while performing actions and you will also experience the special power of peace. This stage is called the karmateet stage, the complete and perfect stage of being equal to the Father. This is the stage of being a master seed form, a master almighty authority. With this stage you will experience success in every task. A great soul is one whose every word is an elevated version.